Welcome to Buzzing About Books, Cathy! Please share a little about yourself. Thanks for having me! Hmm, let’s see. Well, I guess the first fun fact about me is that I live on an island. Bermuda is a tiny island in the middle of the Atlantic, about 700 miles off the coast of South Carolina. I was born and raised here, and I absolutely can’t imagine living anywhere else. I’m married to the love of my life, and we’ve raised two amazing children together. Our daughter and her husband live in Bermuda, and our son is about to graduate from Berklee College of Music in Boston! When I’m not writing, I’m spending time in the garden, going for walks, reading and swimming. I’ve always loved to write. I guess I got serious about it maybe 20 years ago, yes it’s been that long!! I’ve had a few ups and downs along the way, but I think I’ve finally figured out that this is really the path I’m meant to be on. Where do you do most of your writing? Please describe your writing space or share a picture. How much of yourself do you see in your characters? Oh, I’m sure there is probably a little of me in all of them. Not sure if that’s a good thing or not! LOL. 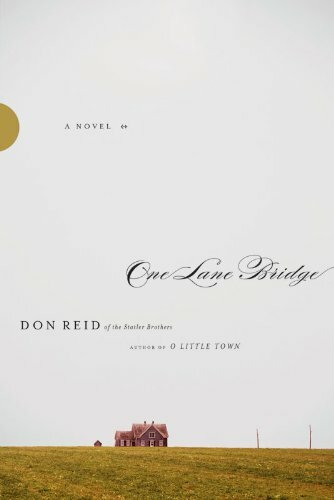 Please tell us about your novel, Bridge of Faith. Two lives taken down different roads – one enduring love – one shot at starting over. What inspired this complex story? Hmm. Nothing in particular comes to mind. I’ve always liked the idea of lost love and second chances. And I love Vermont, so the setting clicked for me. I think it’s important to write about real issues like spousal abuse, abandonment, divorce, all the real stuff of life, so when I figured out Julia’s story, I knew it would be something I had to write. 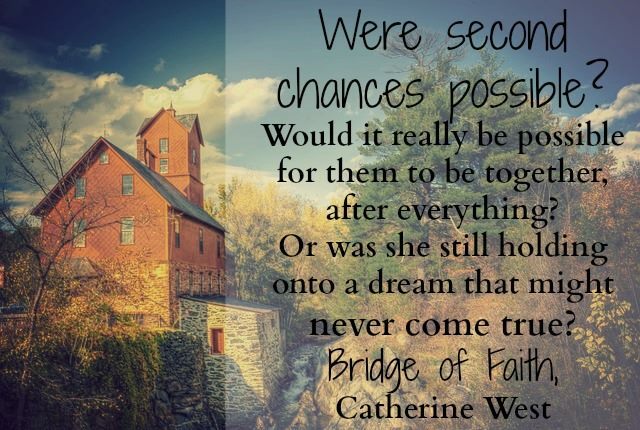 Did you encounter any surprises while you were writing Bridge of Faith? Not specifically. I did love watching Julia and Reid’s romance unfold. And some of her one liners came out of nowhere. Because I’m not sarcastic like that. At. All. 🙂 Actually, the real surprise is how people are relating to it now that it’s published. That’s the awesome thing about writing. You never quite know you’ve hit it until it’s out there. And I’ve been really pleased with the reception the book is getting so far. Do you have a favorite scene you would like to share? Well, okay. 🙂 I love this one. Reid and Julia are slowly finding a way to talk to each other without yelling … sorta. “For me?” Curiosity crept into her eyes. “Reid.” And there it was. He’d used an old stock photo from the network, the one all the ladies apparently went nuts over. Looked pretty darn good too, if he did say so himself. Ouch. Reid ran his tongue across his bottom lip and decided not to answer that. That there is always hope. And through God’s grace, forgiveness is possible, even when we don’t want to give it. I have a few things going on. I’m concentrating on marketing, but I’ve also got some publishing news on the horizon which is super exciting, and that’s going to be keeping me very busy, I’m sure! You are such a delight, Cathy! I appreciate you taking the time to answer my questions and share a Kindle copy of Bridge of Faith with one of my readers!! 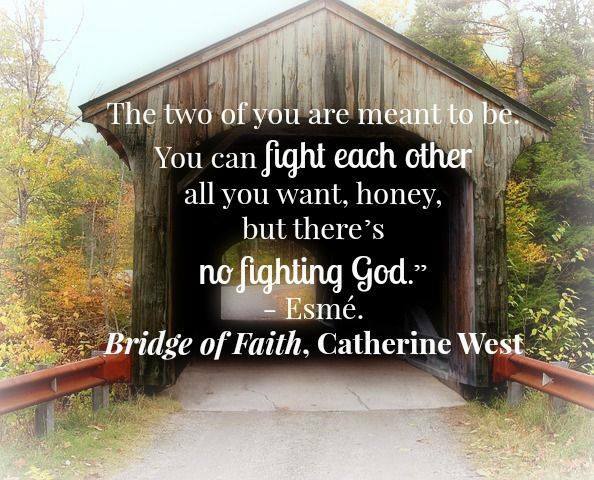 Click here to read my review of Bridge of Faith. 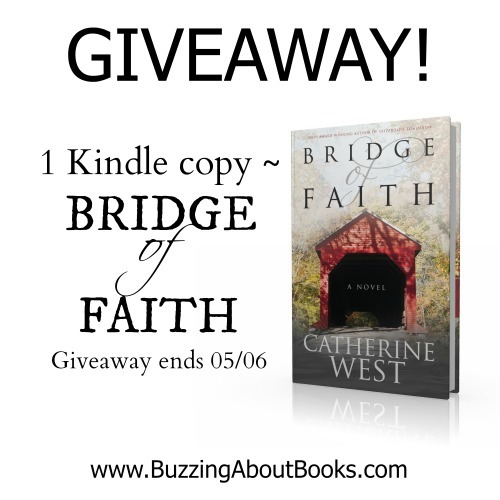 Enter to win a Kindle copy of Bridge of Faith by leaving a comment below. This giveaway ends Wednesday, May 6 at 11:59 p.m. CDT. The winner will be drawn and announced on Thursday, May 7. Good luck!! 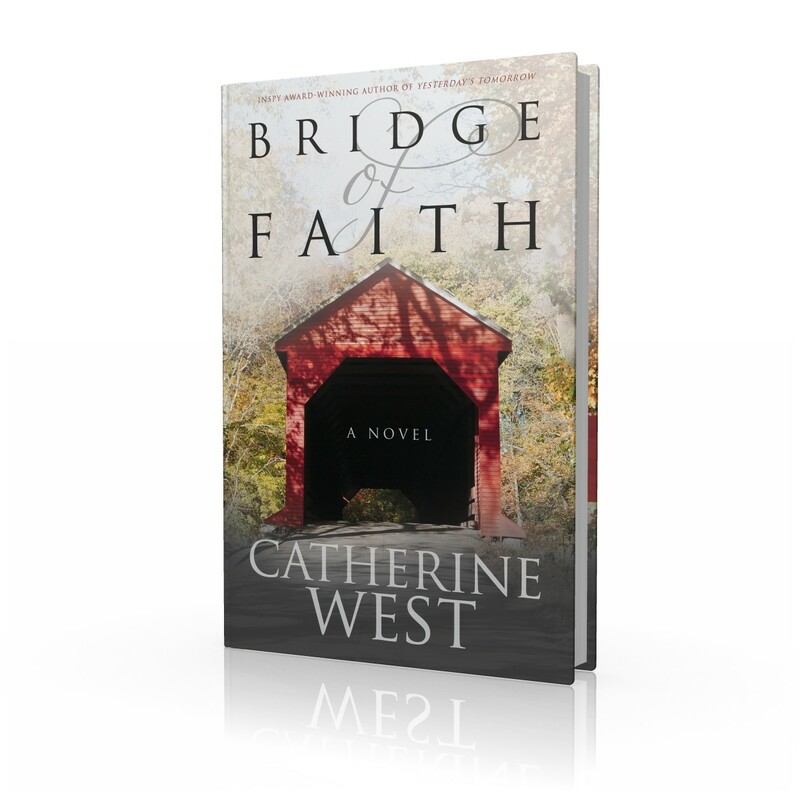 Bridge of Faith is a compelling story! When I started reading this book, I intended to read just a few chapters before bed. However, I soon found myself reading into the night and wanting to know how the story would unfold. Julia Connelly and Reid Wallace are flawed characters and their dramatic story is real, gritty, and filled with emotion. Catherine West has skillfully woven a complex love story that I thoroughly enjoyed. I certainly look forward to reading more from this talented author! I appreciate the opportunity I was given to read a complimentary copy of Bridge of Faith and share my honest opinion. Catherine West is an award-winning author writing inspirational stories of hope and healing from her island home in Bermuda. 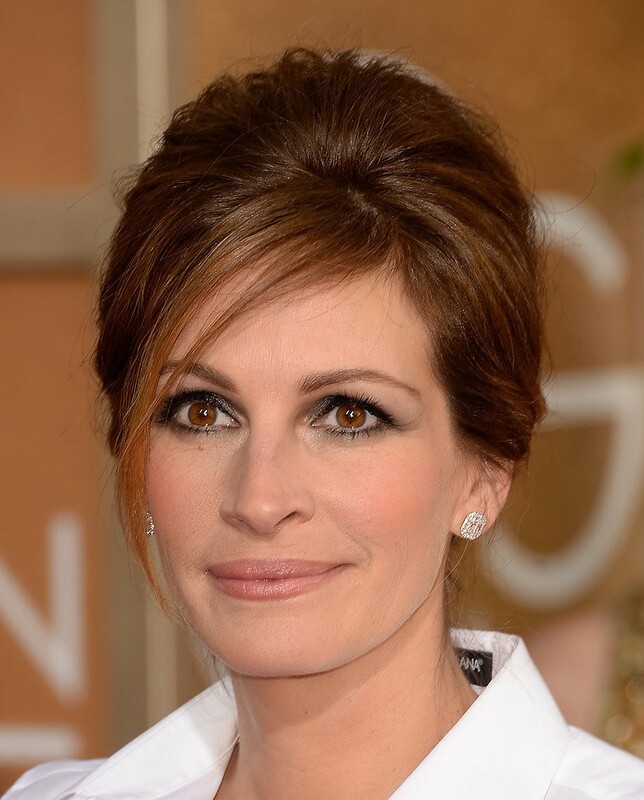 Educated in Bermuda, England and Canada, Catherine holds a degree in English from the University of Toronto. Her first novel, Yesterday’s Tomorrow, released in 2011, her second, Hidden in the Heart, in September, 2012. When she’s not at the computer working on her next story, you can find her taking her Border Collie for long walks or tending to her roses and orchids. She and her husband have two college-aged children. 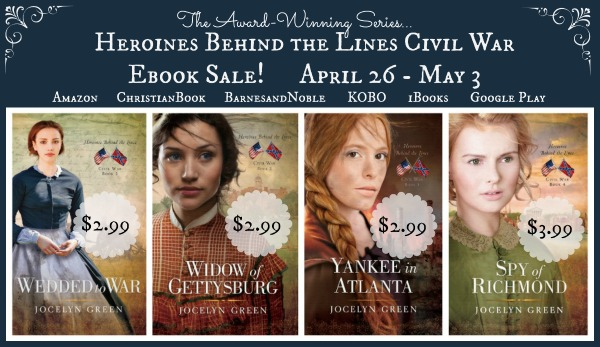 Catherine is a member of American Christian Fiction Writers and Romance Writers of America, and is represented by Rachelle Gardner of Books & Such Literary. 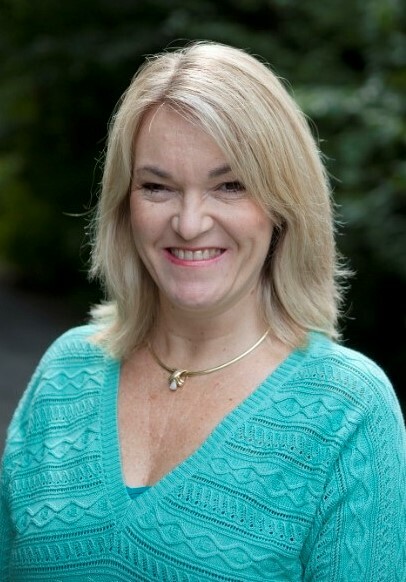 Catherine loves to connect with her readers and can be reached at Catherine@catherinejwest.com. Click here to read or download the first chapter of CROSSROADS. “Crossroads are like that, aren’t they? CROSSROADS is an emotionally charged story! 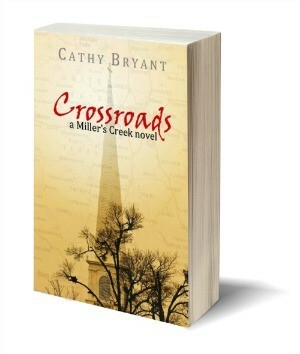 Cathy Bryant welcomes readers back to the community of Miller’s Creek in Book 6 of her Miller’s Creek series. While fans of this acclaimed series are sure to welcome its newest addition, CROSSROADS can also be read as a stand-alone novel. I always enjoy visiting Miller’s Creek and its residents. Cathy Bryant’s writing is wonderfully descriptive and filled with such depth and emotion! In this complex story, Mara Hedwig and Carter Callahan are strong characters who are struggling with major issues in their lives. As they face tremendous challenges, both physical and spiritual, they reach a crossroads and must make some important decisions. Their journey through these trials and tribulations is heart-wrenching and heartwarming. I really enjoyed this compelling drama and touching story! My thanks to the author for the complimentary review copy of CROSSROADS. I appreciate the opportunity to read this story and share my honest opinion. Cathy is graciously giving away a print copy of CROSSROADS to one lucky Buzzing About Books reader! To enter, please leave a comment, along with your email address. This giveaway is open to US residents only and ends Monday, May 4 at 11:59 p.m. CDT. The winner will be drawn and announced on Tuesday, May 5. Good luck!! Anyway, I thought you might enjoy some of the recipes that the characters in the latest stand-alone book CROSSROADS enjoy. Bon appetite! Carter, the brawny soldier-turned-policeman and hero of CROSSROADS, uncovers the heroine’s penchant for seafood. He creates this special seafood dip for a picnic lunch the two share. 1. Blend the first six ingredients together well, and spread thin on a serving dish. 2. Spread the cocktail sauce on top as a sort of icing. 3. Garnish with fresh or dried parsley. 4. Chill in the refrigerator, and serve with cocktail crackers. 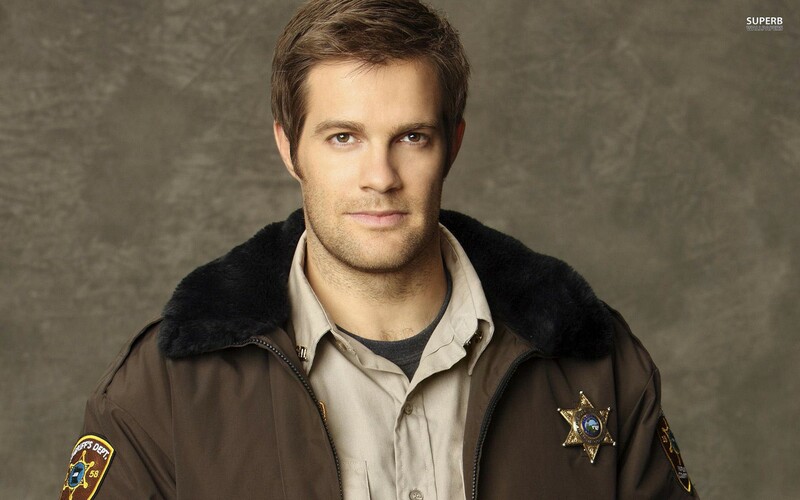 Mara, the bitter single mom, cynic, and heroine from CROSSROADS, knows full well that Carter Callahan is a meat-and-potatoes kinda guy. She fixes this meal when he and his daughter Chloe come over for dinner. 1. Place trimmed roast in a 5-quart slow cooker. Combine soy sauce and next six ingredients; pour over roast. Add water to slow cooker until roast is almost covered. 2. Cook, covered, on LOW for 7 hours or until very tender. Remove roast and reserve the broth for dipping, if desired. Shred roast with a fork. 3. Can be eaten alone or with sandwich rolls. If eaten with rolls, place the roast on the open-faced rolls, add sautéed onions (if desired), and Provolone cheese. Place in your oven on high broil, until bread is toasty and cheese is bubbly. Yield: 12 servings (or one hungry policeman). Hope you enjoy these delightful delicacies from Mara and Carter, the hero and heroine of CROSSROADS. To find out more about the book, please visit: http://www.CatBryant.com/Crossroads. Amazon best-selling author Cathy Bryant writes Christian fiction set in the heart of Texas. Her popular romance and romantic suspense novels take place in the fictional town of Miller’s Creek, where folks are friendly, the iced tea is sweet, and Mama Beth’s front porch beckons. All the Miller’s Creek novels have been on the Amazon Best-Seller list and are rated at 4.5 stars or higher on Amazon. 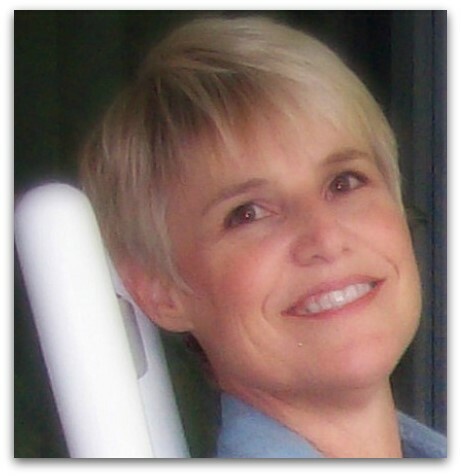 Her debut novel, TEXAS ROADS, was a 2009 ACFW Genesis finalist. Since then five other stand-alone novels have been added to the series, one of which was a reader-nominated 2013 Grace Award nominee (PILGRIMAGE OF PROMISE). 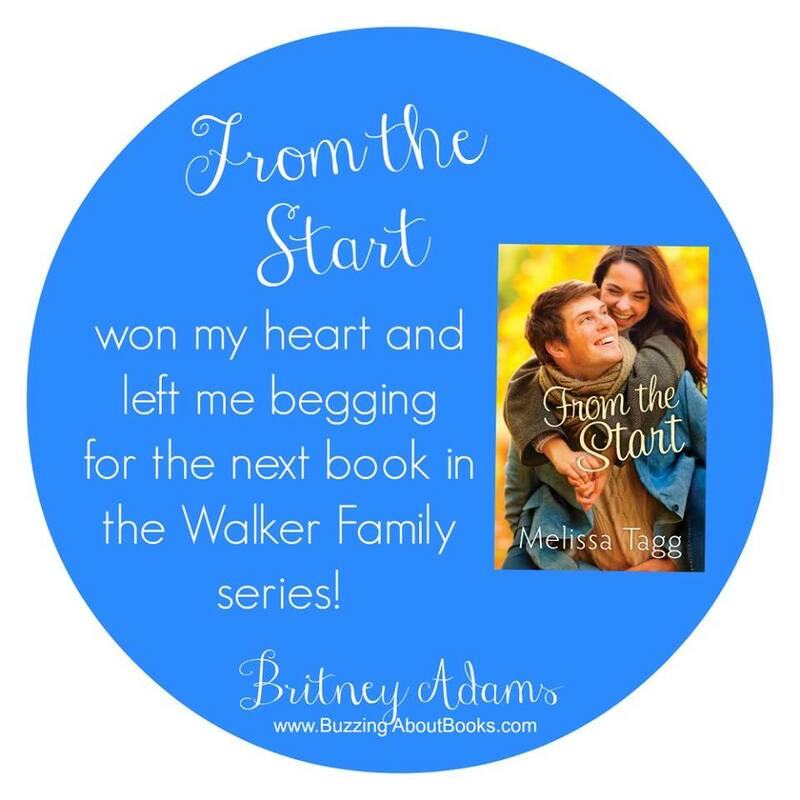 Readers have compared her work to that of Karen Kingsbury and Nicholas Sparks. I adore Melissa Tagg’s books and am so excited to welcome her to Buzzing About Books! Welcome, Melissa! Please share a little about yourself. Thanks for having me, Britney! Well, I’m a former reporter turned author and grant-writer and communications coordinator and avid watcher of YouTube videos. I love classic movies, Gilmore Girls and the band NEEDTOBREATHE, and I am convinced I have the coolest family in the entire world. Oh, and I live in Iowa. It’s happy here. Cake or Pie? Does ice cream cake count? ‘Cause if so, cake all the way. Hotel or Campground? While I am not opposed to the occasional campout, generally I prefer hotels. Salty or Sweet? I love it all, but probably sweet…no salty…no totally depends on my mood. Dog or Cat? This one’s easy…dogs all the way. Cats kinda creep me out. 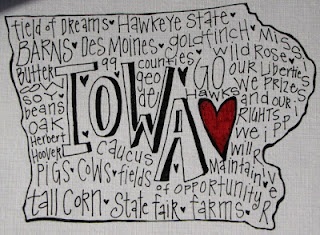 I’m an Iowa girl, so I should probably say country. Actually my favorite is small-ish towns that are located super close to big cities. Best of both worlds. Fly or Drive? Drive! I’m thankful to be able to get places quickly by flying when I need to, but I loooove road trips. Homemade or Take-out? If someone else is making it, homemade. Morning Bird or Night Owl? Both! Seriously. Originally I was a total night owl, but I’ve sorta trained myself to become a morning person in the past few years. Now I love early mornings. 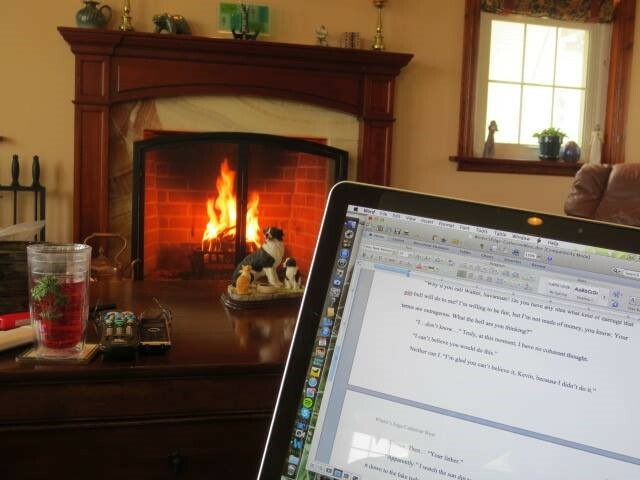 I got serious about writing in 2009 when I attended my first My Book Therapy retreat. Hands-down the best thing I ever did for my writing! Susan May Warren is an amazing writer and a master storycrafter so learning from her through MBT was amazing. In 2010 I attended my first big writing conference and started pursuing publication. And then all the doors flung open in 2012. How much I write and when really just depends on the time of year and when my deadlines. I do generally write at least something every day—but it’s not always fiction. Sometimes it’s a blog or an article. When I’m deep in deadline mode, I tend to get up early to write before work and then also squeeze in a couple hours in the evening. I do a LOT of Saturday writing. But my favorite is when I can set a long weekend aside for writing marathons…that really works well for me. I’m right in between plotter and pantser. I always come up with the main plot pieces and spend a lot of time getting to know my characters before diving into the book. And then usually I plot about a third of the book at a time…but I’ve found that if I try to get too detailed in my plotting, I hem myself in and end up frustrated later when the characters suddenly do what I didn’t expect. So I’m learning to be much more flexible with my stories while holding on to those core story elements. I write all over my place, actually! I do have a room I use just for writing and when I’m in a serious spurt, I write there. But I also love to sit in bed and write…or at my kitchen table…or on my comfy couch. I’ll camp out at coffee shops sometimes. But my absolute favorite place to write is my mom and dad’s sunroom. They live about an hour away from me and they’re so gracious to open their home to me whenever I need a writing campout. My very favorite…finishing the book. LOL! I love that “whoa, it’s done” moment. My favorite part of writing itself is dialogue. I looooove writing character dialogue. And of course, I adore hearing from readers’ once the book is out there in the world. Least favorite is probably the blank page…that can be scary sometimes. Too, deadlines can feel pressuring. Actually probably the hardest thing I deal with writing-wise is the temptation to compare myself to everyone else or constantly worry I’m not good enough. That’s something I’m guessing many writers have to battle throughout their careers. Sometimes much more than I’d like! In my first two books, my main characters definitely had pieces of me in them. In this third one, Kate Walker is so, so very much like me. And that’s probably why a) the story felt so hard to write and b) I was much more nervous about sending it out into the world. Please tell us about your latest novel, From the Start. 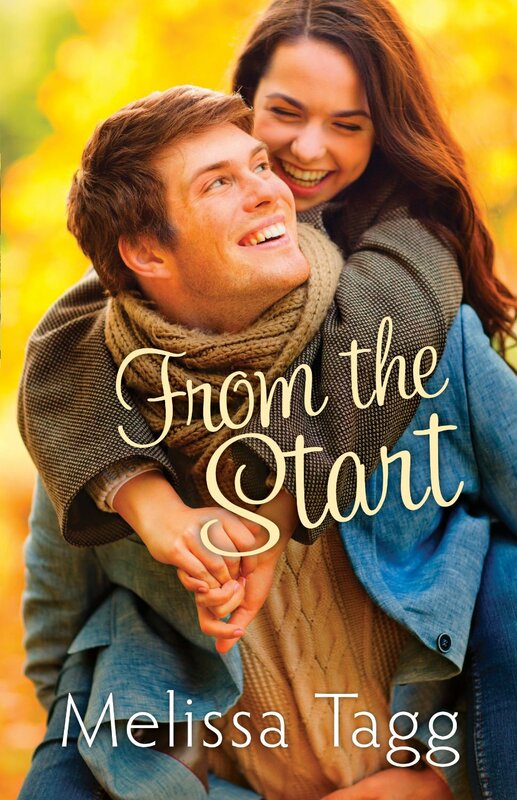 From the Start is about a jaded scriptwriter of romantic movies and an ex NFL quarterback. They both end up in Iowa working on a writing project together…and of course, there are sparks. 🙂 It takes place in a fun little made-up town with a train depot, a cool historic bank building that’s been turned into a restaurant, a river running right through the middle of town. It’s hugely real in my mind. LOL! Like my other books, it’s a romantic comedy, but I think it delves a little deeper as it deals with issues of Colton’s painful past, foster care, cancer and calling. What inspired this heartfelt romance? Truthfully, on this one I honestly don’t know. In my first couple books, I can really pinpoint the thing that first sparked the story in my mind, but this one just seemed to evolve in a really disjointed way, to be honest! I do know I loved the idea of writing about a romance writer who didn’t believe in romance. 🙂 And I wanted Colton’s career to be something big and lofty and in-the-spotlight. Other than that, I think the issues I was wrestling with personally last year really inspired and influenced the story. And my love for classic movies also found a way in. I have several favorite scenes! But definitely one of my very favorite scenes is early in the book when Kate and Colton first meet…in Kate’s childhood bedroom. And I’ll leave it at that. In From the Start, both Kate and Colton have a very clear picture in their heads of what their lives should look like. And every decision they make in the first half of the book is an effort to make those pictures in their heads a reality. But they both learn, slooowly and at times not-so-smoothly, that God might be weaving together a completely different picture. Which is my very roundabout way of saying I hope readers take away that sense or understanding that God is at work…that we aren’t living on our own. There’s such peace and confidence in that truth. I’m just beginning rewrites on my fourth book—woohoo! It’s called Like Never Before and it’s the second full-length novel in the Walker Family series. It features political speechwriter Logan Walker and newspaper editor Amelia Bentley, both of whom appeared in From the Start. Oh I should mention: If people would like to get a taste of the new series before committing to a full novel, they can check out my free novella, Three Little Words. It takes place in the same town as the whole series and you’ll get an early peek into the Walker family. Thank you so much, Melissa, for answering my questions! It’s a pleasure to learn more about you and your writing process!! What’s a guy to do when he comes home to stay and the girl he wants can’t wait to leave town? On April 24, 1962, U.S. Air Force Captain Samuel J. Lewis returns home to small Rockbridge, Texas. Six years older, Sam is the boy who moved four houses down when Sarah Jordan was ten. A teenager who nicknamed her Tomboy and teased her like an older brother. That boy is now a handsome military man who makes her heart race, but what does she know of love or life? After his years away, Sam finds himself drawn to Sarah. The sassy, funny girl he used to tease has grown up into a beautiful charmer with wit and intelligence who challenges him like no other woman. 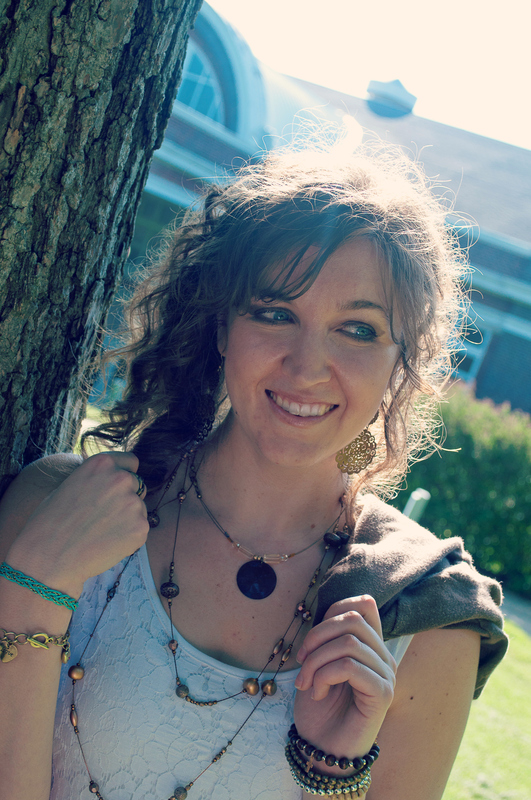 Sarah’s frequent reminders that she’s leaving Rockbridge to attend nursing school, along with her encouragement to date other girls in town, unsettle him. During the eventful summer of 1962, their friendship grows deeper and blossoms into love. Sam knows he can’t hold Sarah back from achieving her dreams. When an unexpected financial gift gives her the needed funds to enter nursing school, they face saying good-bye earlier than expected. Are Sam and Sarah destined to be together or go their separate ways? The exciting prequel to the popular contemporary Christian romance series, The Lewis Legacy Series, Prelude is the love story of Samuel J. Lewis and Sarah Jordan, parents to the core character of the series. 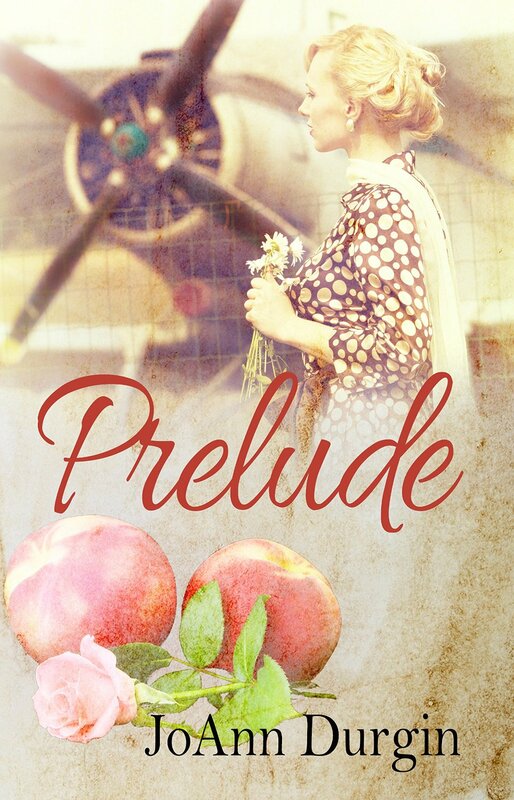 Prelude lends insights into the Lewis family history in this heartfelt story of family, friendship, and love. A story of never letting go of our dreams, and how faith, sacrifice, and trusting our lives to the Lord’s guidance will always triumph over our human fears and temptations. What J. D. needs is a little peace and quiet. He is trying to run two restaurants, keep his daughter from dropping out of college, and satisfy his lonely, aging mother. Cash begins to disappear from one of the restaurants, and he and his wife argue about how to deal with the problem. One tranquil evening, J. D. takes off on a ride in the country to clear his mind. Top down, setting sun, wind in his hair … leak in the radiator. When he walks up to an old farmhouse to ask for water, he finds a family living in poverty, and vows to help. When he returns with groceries, he can’t find them or the house—although he’s not lost. While J. D. struggles to make sense of this mystery, his behavior creates doubt in his marriage, and even his best friend thinks he’s crazy. 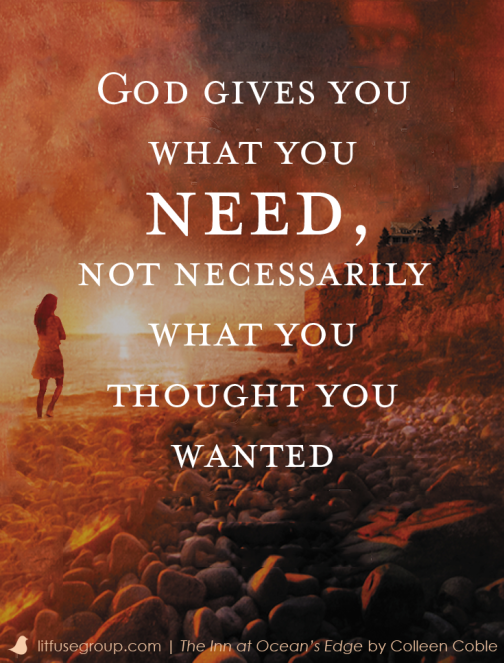 And when he solves it, his life is changed forever. But when Claire returns to the Hotel Tourmaline for a business meeting with her CEO father, disturbing memories begin to surface . . despite her parents’ best efforts to keep them forgotten. The Inn at Ocean’s Edge is a complex, page-turning suspense! Memories begin to surface as Claire Dellamare arrives on the island of Folly Shoals. As she steps into the Hotel Tourmaline, she realizes something terrible happened here. What secrets are her family keeping? Will the past stay buried? Colleen Coble kept me guessing with hairpin twists and turns! Just when I thought I had it all figured out, the unexpected happened. I loved the mounting suspense, drama, and danger and found myself turning the pages faster and faster with an eagerness to know how the mystery would unfold. The relationship between Claire and Luke Rocco was another element of the story that I really enjoyed. I would love to read more of their story and hope to revisit them in future novels. The Inn at Ocean’s Edge is a wonderful blend of suspense and romance, and I can’t wait for the next book in this exciting series! I appreciate the opportunity to read The Inn at Ocean’s Edge and offer my honest opinion. I received a complimentary copy of this book through Litfuse Publicity. The minute she steps inside the grand Inn at Ocean’s Edge, Claire Dellamare knows something terrible happened there—and only Luke believes her. 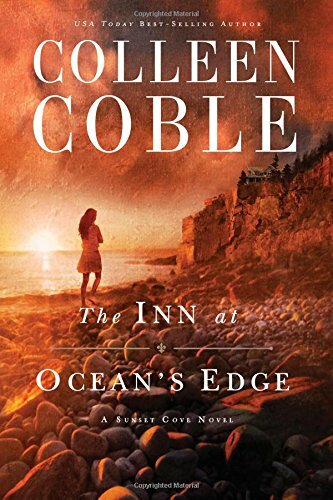 Colleen Coble’s new book, The Inn at Ocean’s Edge, is a must-read for mystery and suspense readers. As Claire and Luke put together the pieces of a decades-old mystery, they discover that some family secrets refuse to stay buried. And some passions are worth killing for. Celebrate the release of The Inn at Ocean’s Edge by entering to win a Kindle Fire and RSVPing to her May 5th author chat party! Enter today by clicking the icon below. But hurry, the giveaway ends on May 7th. Winner will be announced May 8th on Colleen’s website. Plus be sure to clear your calendar on the evening of May 5th because Colleen is hosting an author chat party on Facebook to celebrate her A Journey of the Heart series and the release of The Inn at Ocean’s Edge! RSVP here!